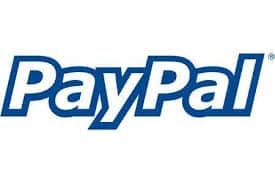 NEW DELHI: PayPal Holdings has completed its separation from eBay and is now an independent public company trading on the Nasdaq Stock Market. The company’s leadership team joined with employees and merchants to push the PayPal button to ring the opening bell at Nasdaq to mark the milestone. “As the world’s open, digital payments platform and most trusted and popular digital wallet, we are excited to celebrate our listing day and embark on our next chapter,” said Dan Schulman, President and Chief Executive Officer of PayPal. In 2014, PayPal processed $235 billion in total payment volume and generated more than $8 billion in revenues. Also last year, PayPal processed $46 billion in mobile payment volume. The company serves more than 169 million active customer accounts in 203 markets around the world. PayPal previously was listed on the Nasdaq under the same ticker symbol “PYPL” before it was acquired by eBay in 2002 for $1.5 billion. “We’d like to thank our friends at eBay for their tremendous support and partnership over the past 12-plus years,” concluded Schulman. Under the terms of the separation, on July 17, 2015, stockholders who held eBay common stock at the close of business on July 8, 2015, received a distribution of one PayPal common share for every one share of eBay common stock held as of the Record Date. No fractional shares of PayPal were distributed. PayPal, eBay part ways 0 out of 5 based on 0 ratings. 0 user reviews.